save the history of editing a document. The Wiki has fewer restrictions. In particular, forums do not allow you to structure information, but only to add a new one. Wiki can be thought of as a desktop with decomposed drafts, to which any person can go and make corrections to your texts or write something new. At the same time, each draft has an important property - the history of editions (changes), which can be used to track how (and by whom) the document has changed over time and, if necessary, "return" it to one of the previous states. In other respects, the wiki is like a regular website: some of its pages can be nested in others (such multi-level documents are called clusters), they can refer to each other using ordinary free links, and contain downloaded files. To create a wiki environment, you need a special wiki engine. This is a particular kind of site management system, quite simple in its device and functionality, because almost all actions for structuring and processing information are made by users manually. Today, virtually any hosting has Fantastico - a set of preinstalled scripts, which includes Wiki engines PhpWiki and TikiWiki. They do not need to be installed, but simply select and configure. And the main thing is to serve. Free encyclopedia of programming languages. The idea of ​​the project is to compile the most complete list of programming languages ​​(along with dialects, implementations and versions), structure information about them and give each language an example of solving several standardized tasks. Open World Encyclopedia, compiled by all Internet users in all languages ​​of the world. 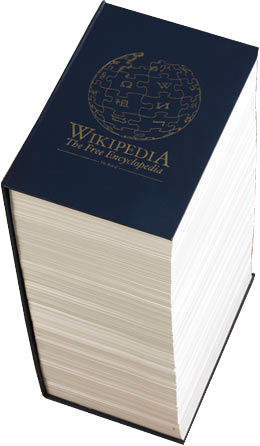 Anyone can become a co-author of this encyclopedia. You can create a new section, a new article, a note, fix an error in an existing one, add something, comment, etc. In general, you are a full-fledged creator of this vast knowledge base. A lot of authors. Some wikis can be edited by all visitors. The ability to repeatedly edit the text through the wiki itself (the website), without the use of special tools on the editor's side. Manifest changes immediately after they are made. Separation of information into pages where each has its own name. A special markup language that allows you to quickly and easily mark out structural elements, formatting, hyperlinks, etc. in the text. Change accounting (version accounting) of the text and the ability to roll back to the earlier version. How to do anything? That's what this site VIKIB is doing, rather than all we do, well, once VIKI.